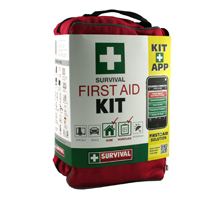 A comprehensive first aid kit which enables the user to provide immediate and vital first aid. Contains essential treatment instruments, materials and aids needed to respond to most first aid situations. A must have for every office, factory, home, club, car or boat. Make workplace safety a priority and ensure your employees have access to the correct treatment in case of emergencies.